We all have that one project, the beginner starter project that never did turn out exactly how we wanted. Today, I’m going to share mine. I started sewing in the summer of 2013. I started basic; pillows, simple curtains and American Girl doll clothing. By Christmas, I really wanted to make a gift for someone. 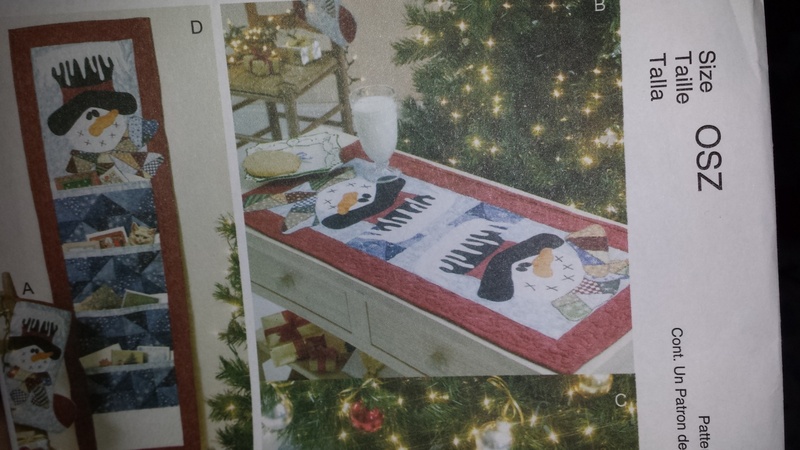 I had been picking up patterns when they would go on sale at JoAnn’s, and this snowman pattern was my choice for a Christmas gift. I would make a coffee table runner for my Mom and she would love it! 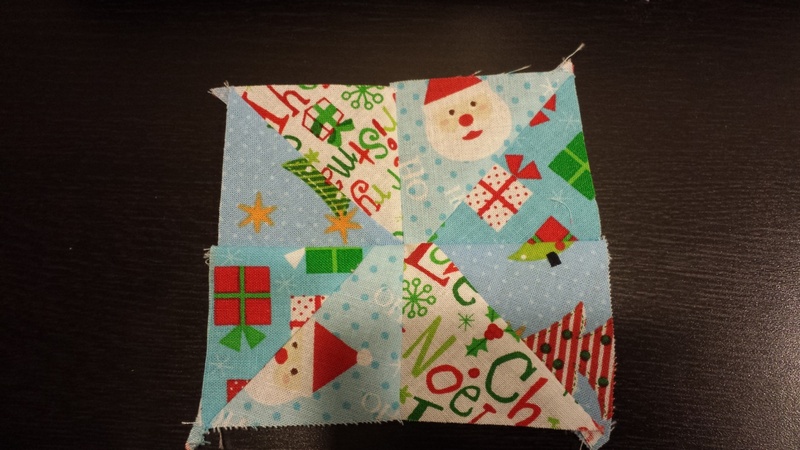 Or so I thought…..
My blog partner Angela had made quite a few of these this particular year for Christmas. She is naturally gifted at everything crafty, and with her help, I figured I could handle this. I opened the pattern and my head began to spin. What is appliqué? What is binding? How am I going to do this?? As you can see, nothing matches up. There are no points in the middle, and I don’t even think this would qualify as a square. After failing at the pinwheels, I added the blocks of snow angels. 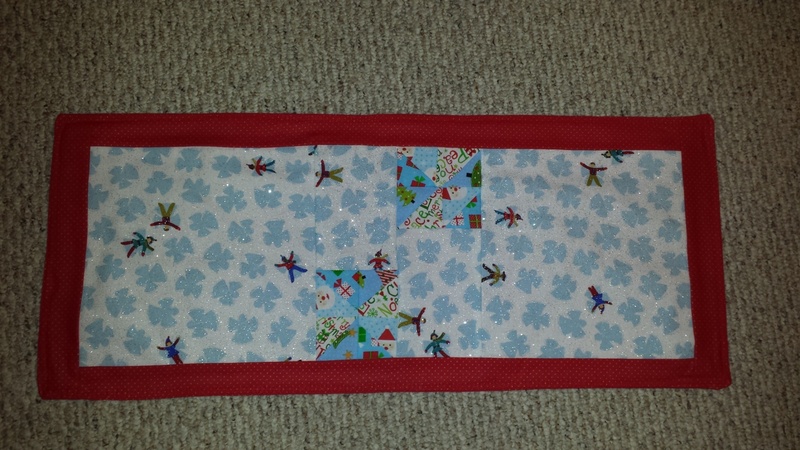 I had no idea how to do binding, so I added some strips of red around the runner and as you can see, they do not match up in length. 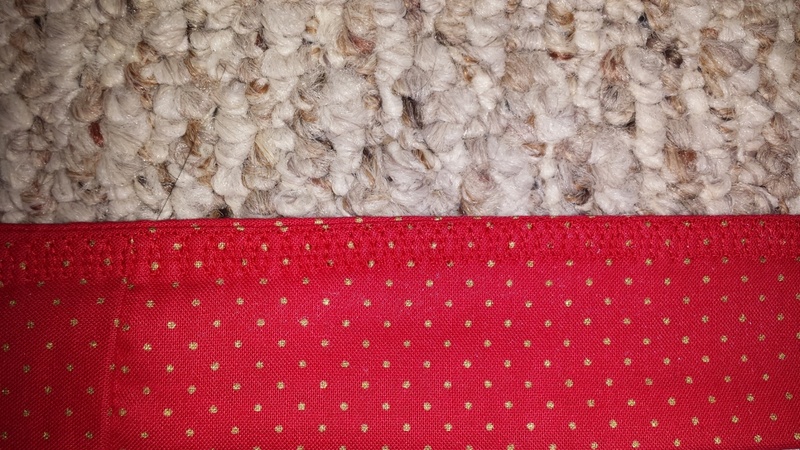 The backing is a solid fabric. Since I didn’t know how to bind, I treated this like a pillow. I sewed it inside out, without batting, and flipped it over through a small hole. Now what? 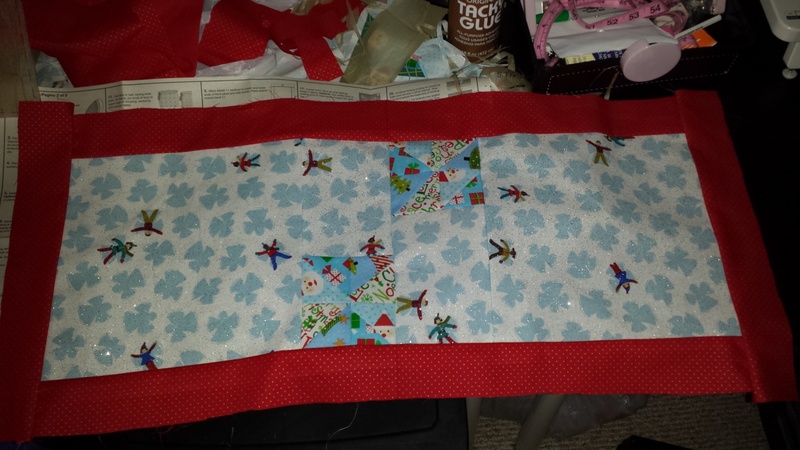 I decided to do a “decorative stitch” around the edge to seal everything up. I was so proud at the time. Looking back, I see a hot mess. We all have that one starter project, or for some of us, multiple starter projects. We have to get through these, to get to the amazing projects we complete years later. Be proud of your starter project! Wave the imperfect quilting flag high and march on!